Nice brick ranch! 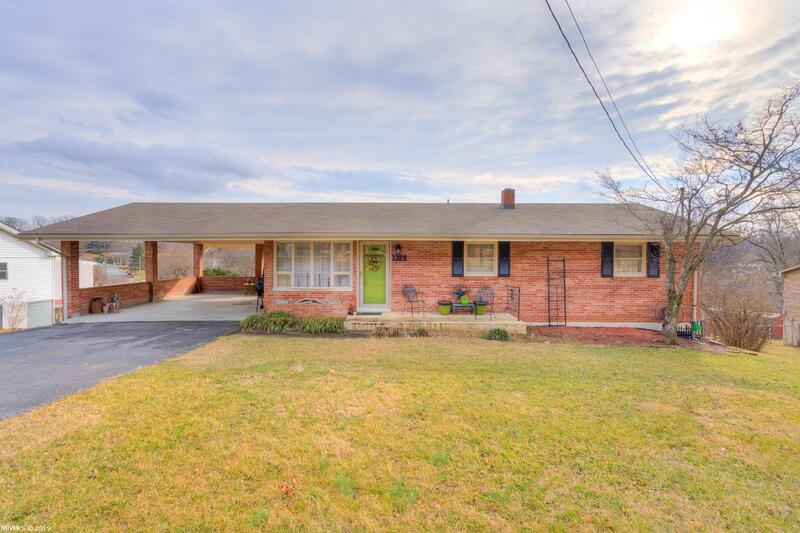 This home has many updates including a remodeled kitchen with new Hickory cabinets, flooring, and countertops. The kitchen has a new dishwasher. Decorative backsplash adds to the charm of the kitchen. Natural light streaming into home. Hardwood flooring in the living room and the three bedrooms. Wait until you see the remodeled hall bathroom! Lots of space and a new bathroom vanity. The master bedroom has a new half bath (shower could possibly be added in the future). Spacious family room in the basement has lots of natural light coming through the large picture window. Sectional sofa in the family room stays with the home! Lots of space in the unfinished section of the basement. Newer water heater. Room to expand or to use for storage. Storage building in the fenced in backyard is perfect for lawn tools. Pergola on the back of the house covers the concrete patio. Great home! Directions: I-81s To Exit 98 Dublin/Pearisburg Va-100, Sharp Left Onto Cleburne Ave/Old Rte 100, Right Onto 611, Rt Onto Newbern Rd, Right Onto Grove Dr, Home Is On Left.